I had the opportunity to sit down again with a Winemaking Legend Christophe Paubert, the senior winemaker for Stags’ Leap Winery, during his recent stop in Dallas this month. We first had the opportunity to sit down in 2015. It always surprises me how unassuming he is as he spent the entire time talking about how fruit and terroir solely drive the quality of his wines. First, let’s start with the history of Stags’ Leap Vineyard, a vineyard with a 100+ year history and more than 85 acres, which was founded by Horace Chase in partnership with his uncle, W.W. Thompson, on land where grapes were already planted by T.L. Grigsby. The property was named “Stags’ Leap” after an old Indian legend, which talks about a lone stag taking a great leap over the palisades to escape hunters. During the Chase’s ownership, a manor house and a winery were constructed, and it became quite the social destination, known for great parties with prominent politicians, artists and writers in attendance. The first vintage was in 1893, and by 1895, production on the estate was up to 40,000 gallons of wine. For 145 years grapes were grown at this property. Unfortunately, the fortune was lost, and Francis Grange acquired the property in 1913. She transformed the property into a working ranch and Napa’s top resort. Again, the property remained a destination for the fun and the famous. After the Grange legacy ended, the property fell into disrepair until Carl Doumani restored the property in 1971. Carl’s dream was originally to restore the hotel, but Napa zoning laws kept that from being a reality. He planted grapes instead. Today the 85-acre vineyard is divided into 23 blocks. 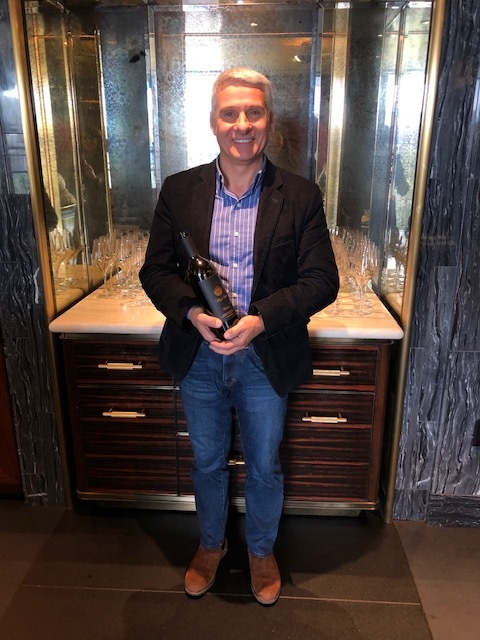 Christophe joined Stags’ Leap in 2009 and has worked at some of the world’s most pre-eminent vineyards as well as on projects in Chile, Spain and Washington State. When recruited, he was very clear that he wanted to produce wines in the style that he was passionate about creating. For the past eight years he has done just that – focusing on the land, the fruit and the terroir. He brings a mix of Old World and New World techniques together with a hands-on style of winemaking focusing on the balance in wines. Hand-picked and hand sorted, he focuses on authenticity. 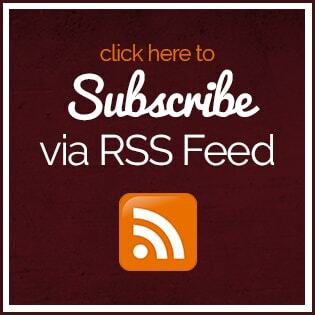 The fruit is a mix of estate and partnerships with growers in Napa Valley and Carneros. 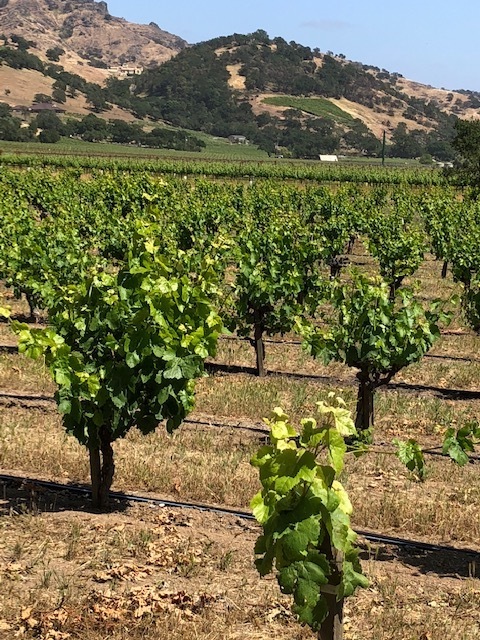 Stags’ Leap focus on Cabernet Sauvignon, Merlot, and Petite Syrah—are enhanced by plantings of Cabernet Franc, Malbec, Petit Verdot, Grenache, and Syrah. For more information, www.Stagsleap.com. 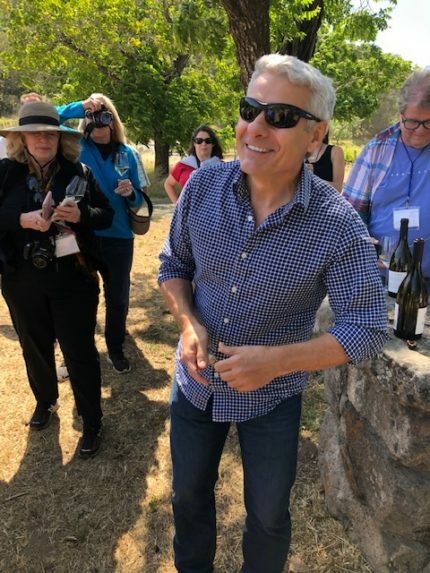 2017 Stags’ Leap Chardonnay – this is an Old-World style Chardonnay that I really enjoyed. I tasted notes of apple, citrus, peach, cedar, almond and caramel. It had a great minerality. 2016 Stags’ Leap Cabernet Sauvignon (Napa Valley) – notes of black cherry, truffle, currant, vanilla, nutmeg and tobacco. 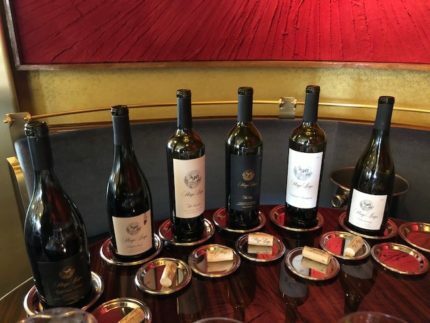 2015 Stags’ Leap “The Leap” – this blend of 92 percent Cabernet Sauvignon, 6 percent Petite Sirah and 2 percent Petit Verdot is intensely delicious. It needs some cellar time, but I got notes of tea, black cherry, chocolate, cigar, blackberry, mocha and spice. 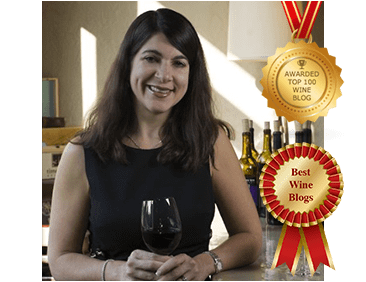 2016 Stags’ Leap “The Investor” – this red blend is 42 percent Merlot, 30 percent Petite Sirah, 19 percent Cabernet Sauvignon and 9 percent Malbec. I tasted black cherry, chocolate, herbs, pepper, licorice, tobacco and cedar. 2016 Stags’ Leap Petite Sirah (Napa Valley) – this is a blend of 79 percent Petite Sirah, 8 percent mixed Rhône varieties, 7 percent Grenache and 6 percent Syrah. I tasted notes of baking spice, black cherry, blackberry preserves and black pepper. 2015 Stags’ Leap Ne Cede Malis – this one block dates back to 1929 and is primarily made of Petite Sirah and other Rhône varietals. This wine is 75 percent Petite Sirah and then is a blend of 17 other varietals that are harvested and fermented together. It’s a really cool wine and the name comes from the Latin phrase, “don’t give in to misfortune,” the family motto of Stags’ Leap founder Horace Chase. I tasted black cherry, herbs, earth, pepper, cinnamon spice, mocha, blue fruit and chocolate. As we wrapped the lunch, Christophe left us with a summation of his philosophy,” my job is not to drive the fruit in any direction – it is only to express the best of what it has to offer.” With Christophe at the helm, Stags’ Leap is clearly on a path to continued stewardship of viticulture, land use and winemaking.